Want to Know How Virtual Accountants Help You Focus Your Business? Have you read our articles too? 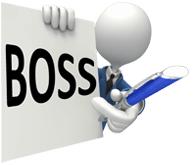 BOSS (Back Office Shared Services Pty Ltd) is New Zealand’s premium accounting outsourcing provider supplying well-trained high-quality accountants and bookkeepers. To discuss your needs and how we can help, Book a Consultation NOW! BACK OFFICE SHARED SERVICES PTY LTD.